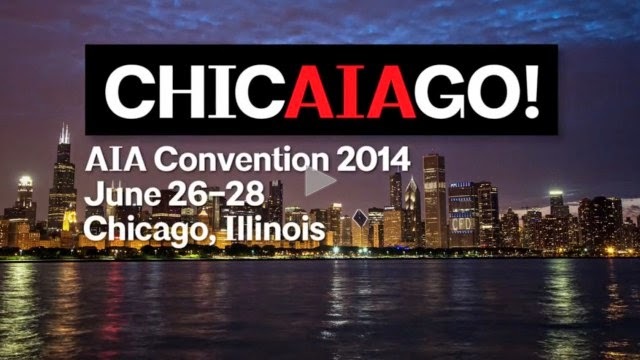 [ #CGEvent #Vray #Chaosgroup ]If you're around Chicago in June 26-28th, You're invited to join Chaos Group in the heart of America’s architectural epicenter for the 2014 AIA National Convention. Visionary designers from Gensler, BIG and Studio JDK will be present at Chaos Group's booth to discuss their latest projects. They'll also be on hand as well to give you an in-depth look at the latest in V-Ray for 3ds Max, V-Ray for SketchUp and V-Ray for Rhino. Nurulize Crew will be showing V-Ray rendered environments within the Oculus Rift for a truly immersive virtual reality experience.